I tried to write a blog post before work this morning. I got a few paragraphs done, but I can’t finish it at the keyboard. Maybe tomorrow. Full disclosure: I did not work any more on it during breaks and lunch, because the lure of crossword puzzles was too strong. So let’s have our usual Monstrous Monday before the next episode of Dateline starts (regular readers may recall that on Mondays I watch Dateline on OWN). Maybe if I drank more tea, I could be a better blogger. I love this picture, because we all get by with a little help from our friends. Even a monster sometimes needs a hand. I’ve been thinking about this movie a lot lately. 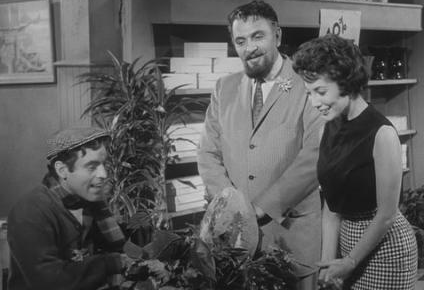 It is Roger Corman’s Little Shop of Horrors (1960). I love that movie. I have no use for the musical, but to each his own, as the old lady said when she kissed the cow. I’m not scared of my own shadow. This one, however, is a different story. 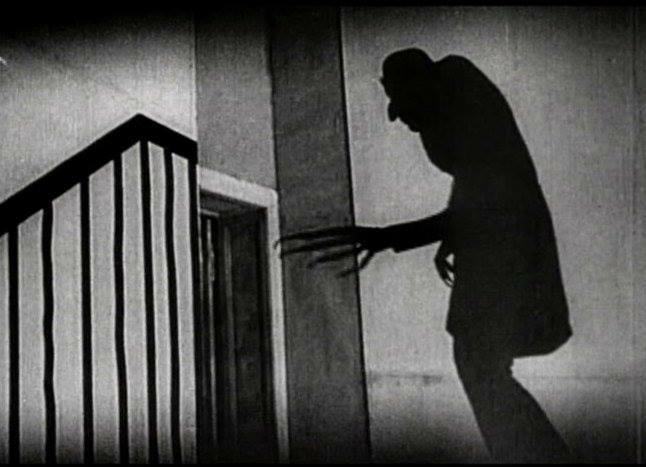 This, of course, is from my all time favorite, Nosferatu (1929). They knew how to use shadows in those old movies. 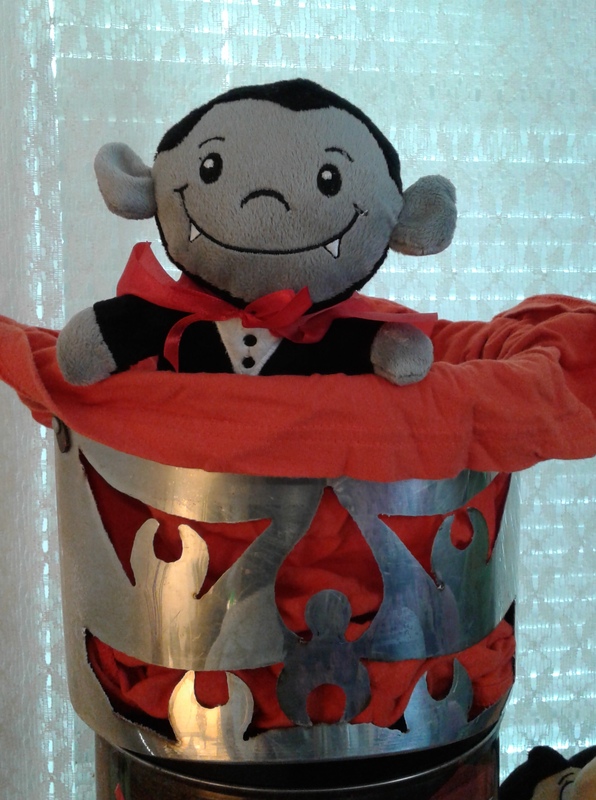 Just to end on a note of cuteness, here is one of my own little vampires, in a decorative pot given to me by my good friend, Marsha. I have no problem with cute monsters. I like all kinds! 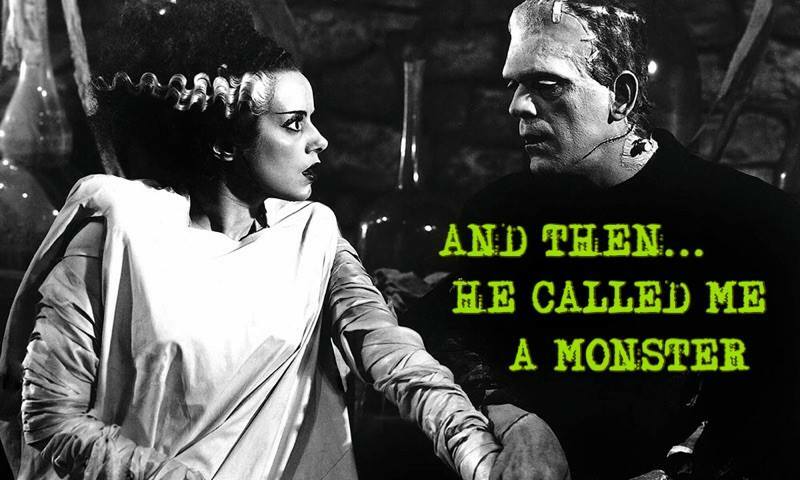 Posted in humor, Monstrous Monday, personal and tagged blog post, blogging, cheesy horror movies, Dateline, Dateline on OWN, Frankenstein, Little Shop of Horrors, movies, Nosferatu, not writing, vampires, writing. Bookmark the permalink. Monsters and Shout-outs, What Day Is It? What a way to start the new year! Yesterday’s blog post was dumb and today I can’t even think of anything to write about! Is 2019 the year I stop being a daily blogger? SAY IT AIN’T SO!!!! Then again, it is Wuss-out Wednesday. Well, that was a lousy lead. Where can I go from here? I went back to work today and worked ten hours on my feet. Um, I did not work on my feet, I stood on my feet while I worked at my job. The first way sounds like I spent 10 hours giving myself a pedicure. Imagine the toenails I could get that way! But I digress. The fact is, I am tired and somewhat brain dead. 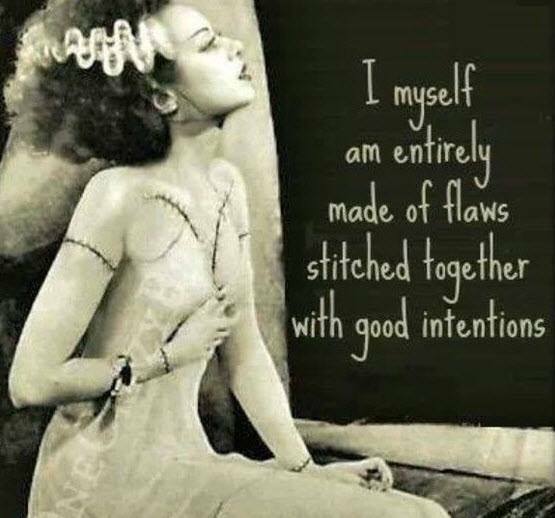 I resorted to monsters yesterday and I am going to be bold enough to do it again today. We can call it Mid-Week Monsters. More Monsters at Mid-Week? Titles are hard. 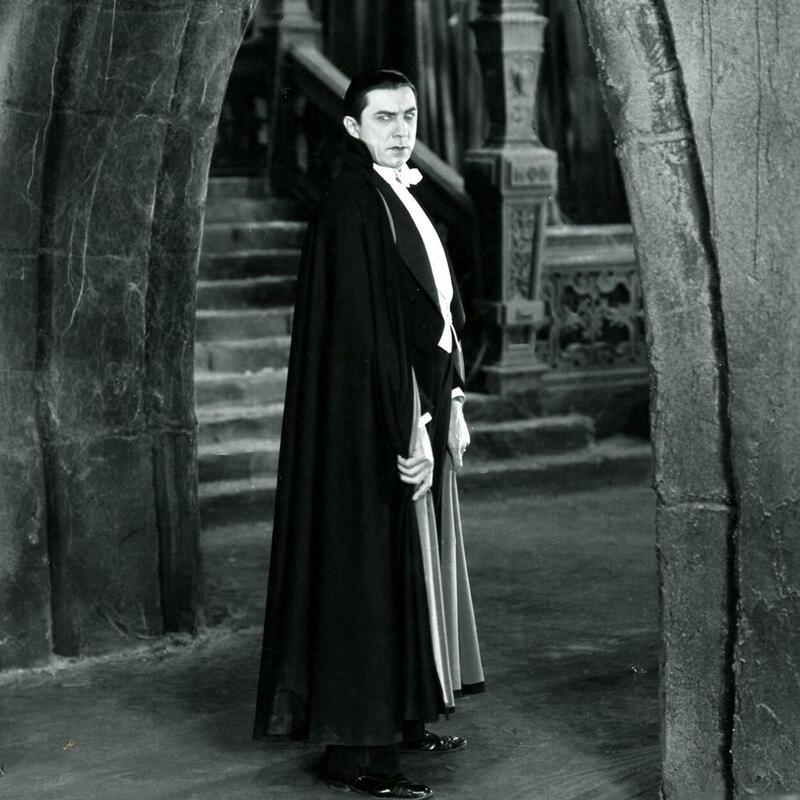 Following yesterday’s dictum, I open with a vampire, Nosferatu to be exact. I love that guy. I should follow this guy’s example and have some coffee. And go on a diet. 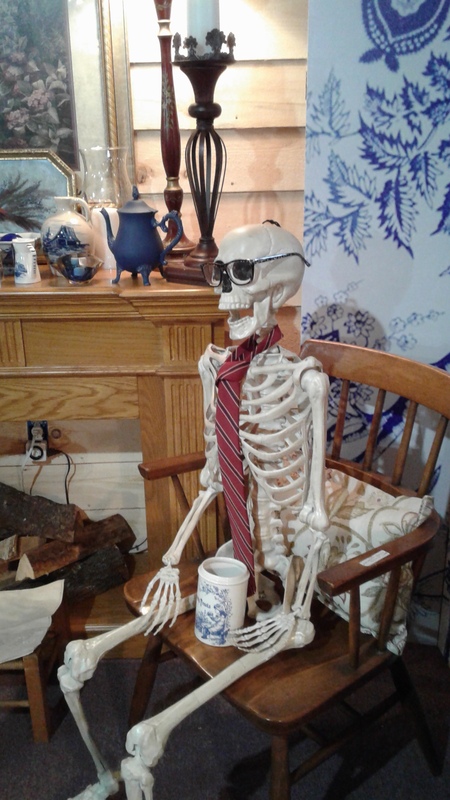 I took this fellow’s picture at the Old Barn Marketplace, on Route 5 in Little Falls, NY (you see I can multi-task: show monsters and give shout-outs to local businesses) . Alas, they are closed for the season, but they will re-open in the spring. I’ll be sure to visit them when they do, and write a blog post about it. This is BEFORE he ate all of Margaret’s great treats! Here’s a business that local readers can visit right away, the So Sweet Candy Cafe. I don’t imagine the skeleton will be there before October, but you can find lots of yummy treats! 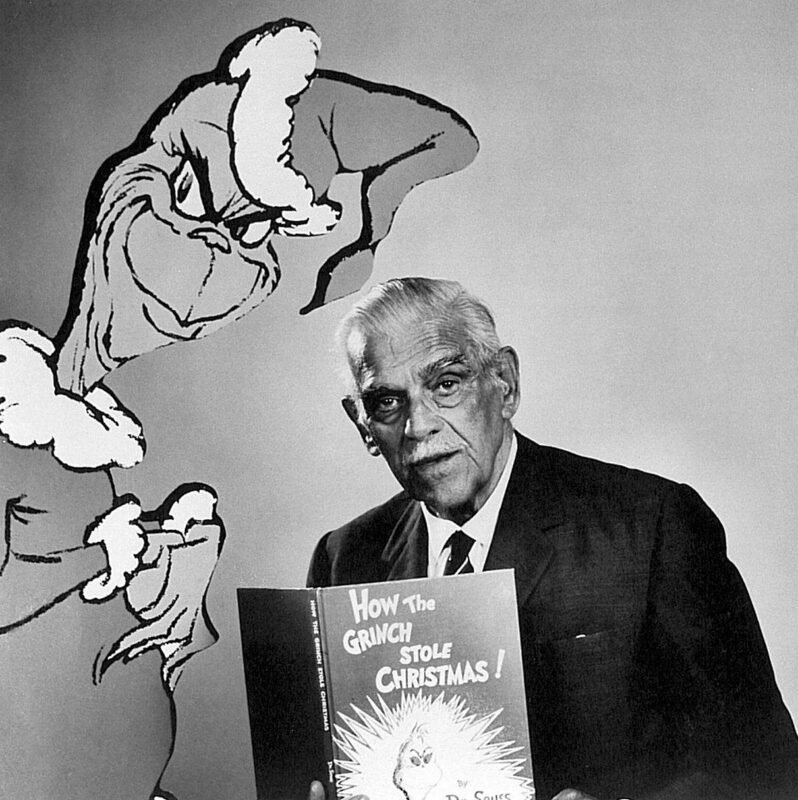 They are located on Varick Street in Utica, NY. Well, this has not been a completely useless post after all. 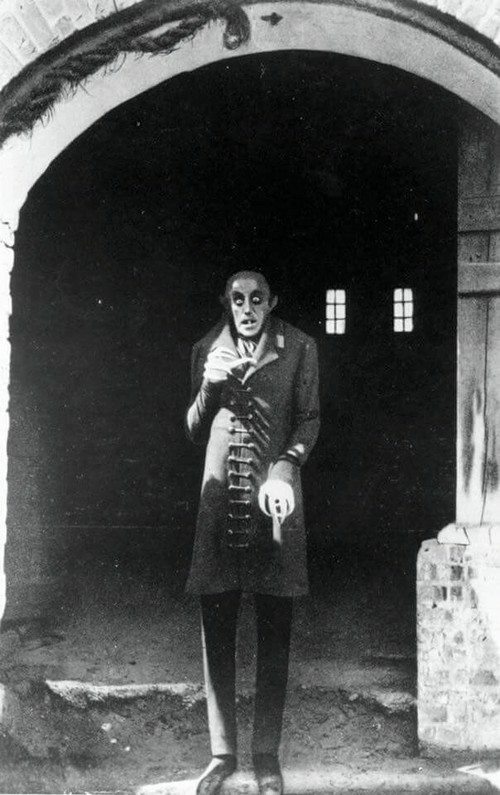 I gave shout-outs to two local businesses and shared another picture of Nosferatu. I wonder if I can find a peppy picture to close with and think of an appropriate title. 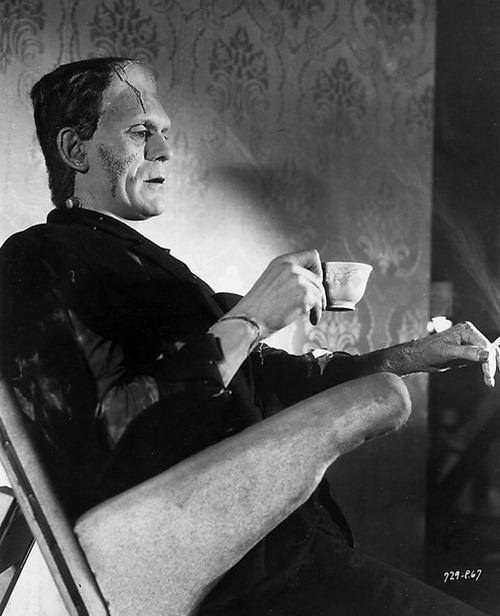 Sometimes even a monster has to relax. 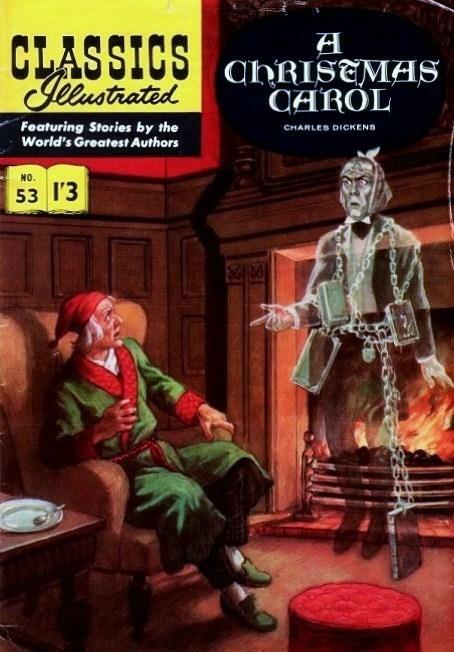 This now seems more like a Non-Sequitur Thursday than a Wuss-out Wednesday post. Well, it is one of those weeks where I can’t remember what day it is. 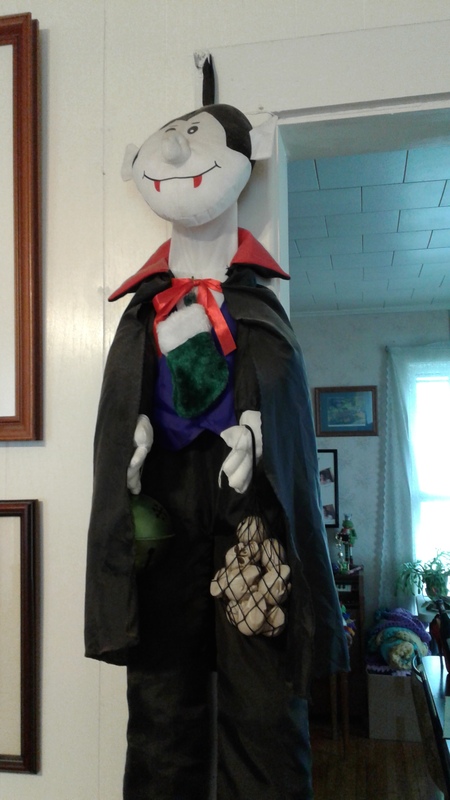 Posted in humor, personal, Wuss Out Wednesday and tagged blog post, blogging, Frankenstein, Little Falls NY, local business, monsters, Non Sequitur Thursday, Nosferatu, Old Barn Marketplace, skeletons, So Sweet Candy Cafe, tired, Utica NY, yummy treats. Bookmark the permalink. I guess yesterday was a true Wuss-out Wednesday, since it is almost 5 a.m. on Thursday as I begin to make my blog post. I can’t even call it a Blogger’s Sick Day, because I manage to post something on those days. These things happen, I suppose. For anybody who thinks I still party heartily enough that I have not yet gone to bed, although it pains me, I must disillusion you. But never mind that. I must make some semblance of a blog post. 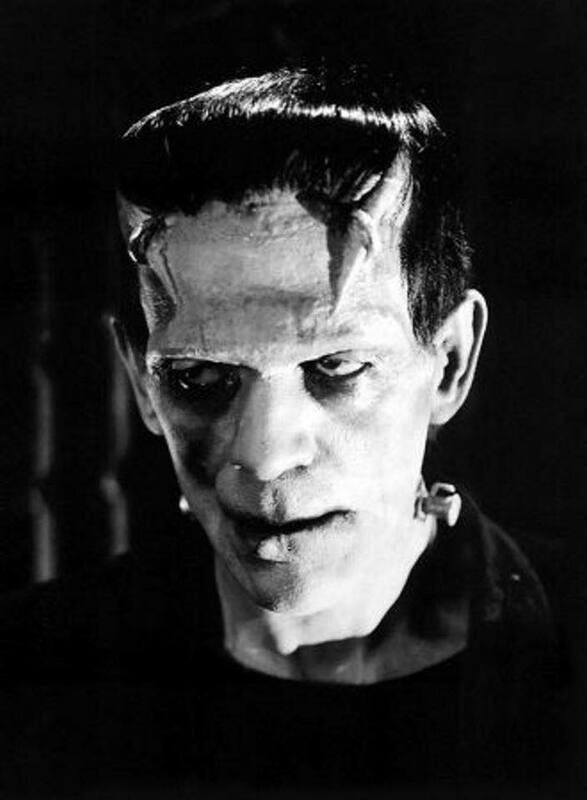 Since I did not have a Monstrous Monday, I’m going to go with some monster pictures. He is probably having tea. 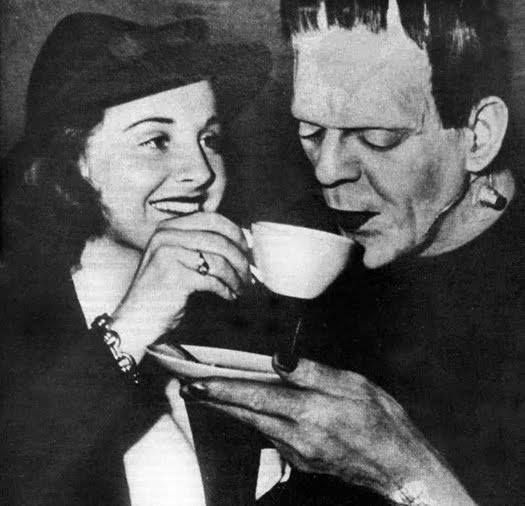 I am having my morning cup of coffee, and I am feeling rather monstrous. 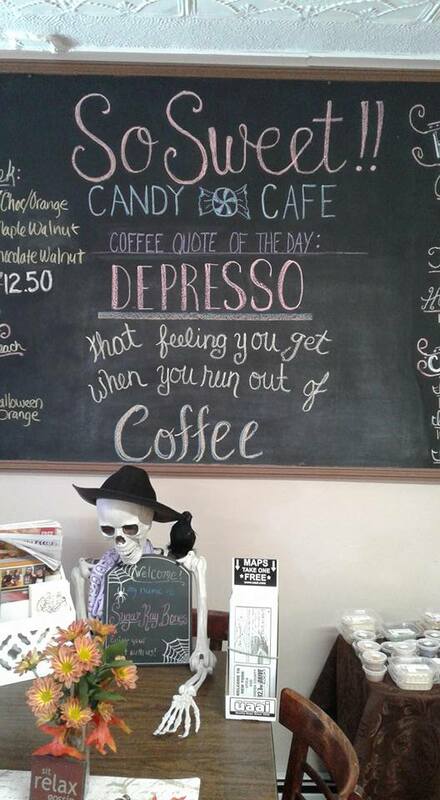 I just imagine I will feel less so after coffee. 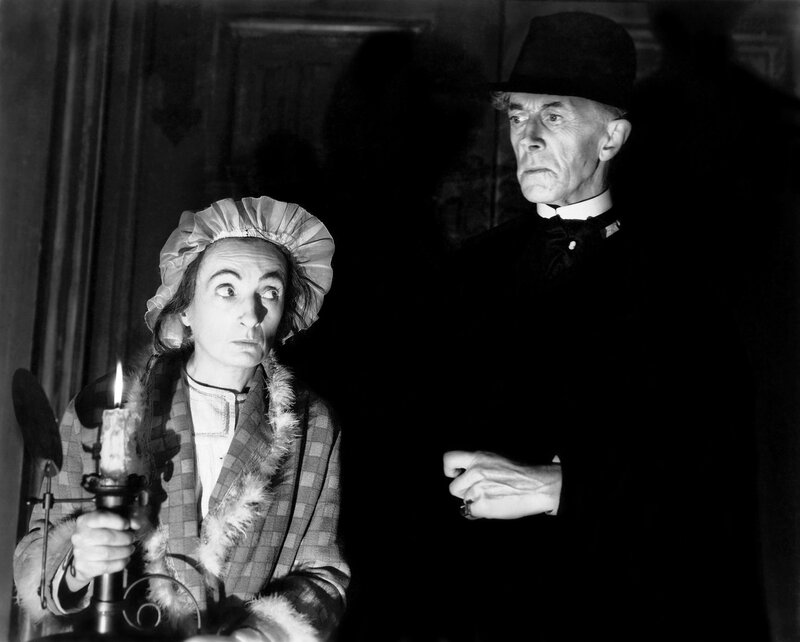 George Zucco is marvelously theatrical. 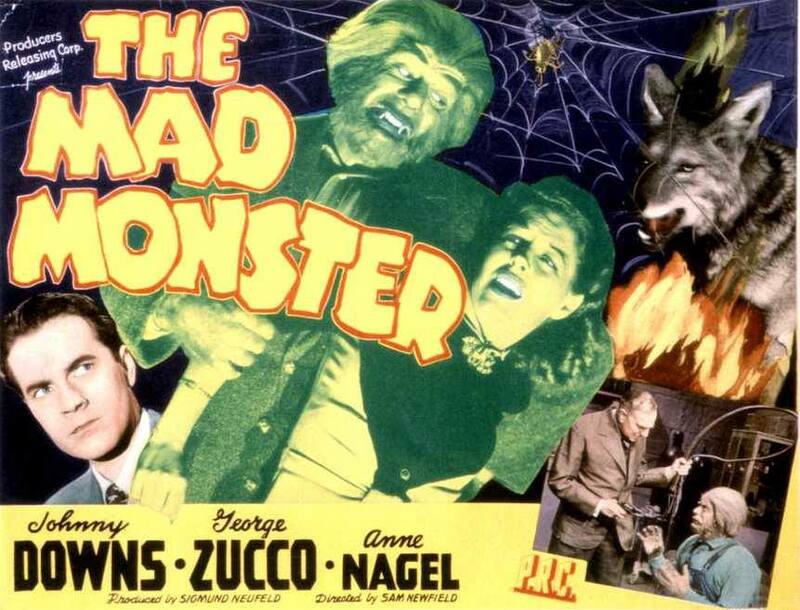 I share The Mad Monster poster, because I am mad at myself for not making my blog post yesterday, when I was supposed to. A monster of the natural sort, although this is actually a machine. I throw in Bruce, the shark from Jaws just because he caught my eye when I was looking through my Media Library. 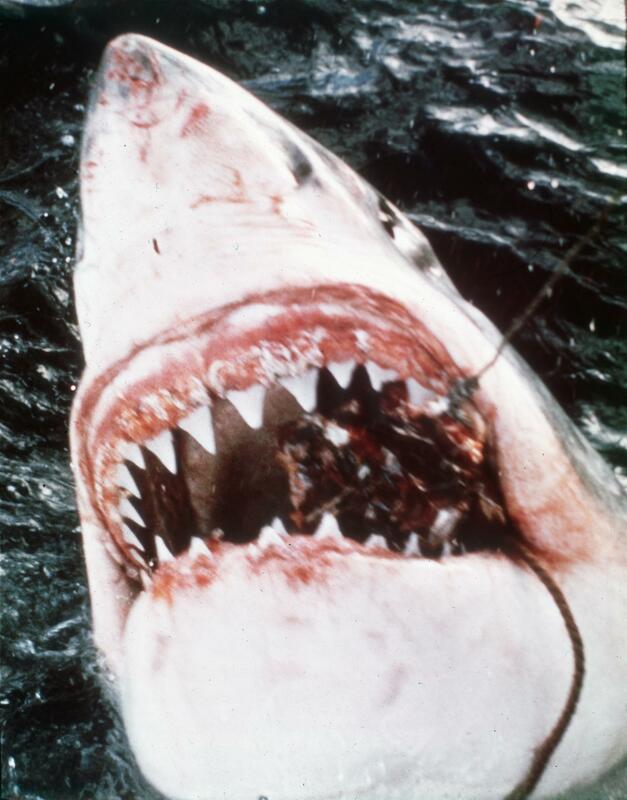 Some may not consider him an authentic monster, since he is technically an animal, but I say Jaws is a monster movie. 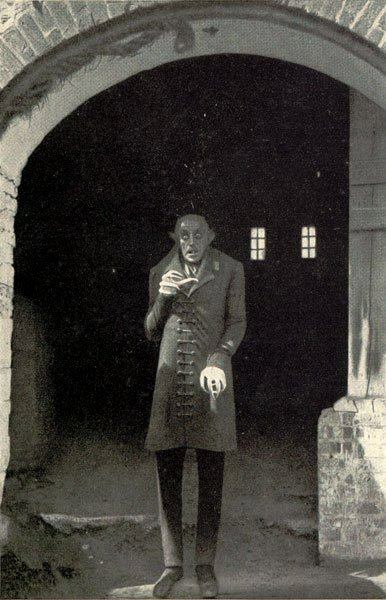 I end with my favorite, Nosferatu. This has been yet another quite foolish post, but I do not apologize. For one reason, the Thursday post I’ll make later may be even worse. 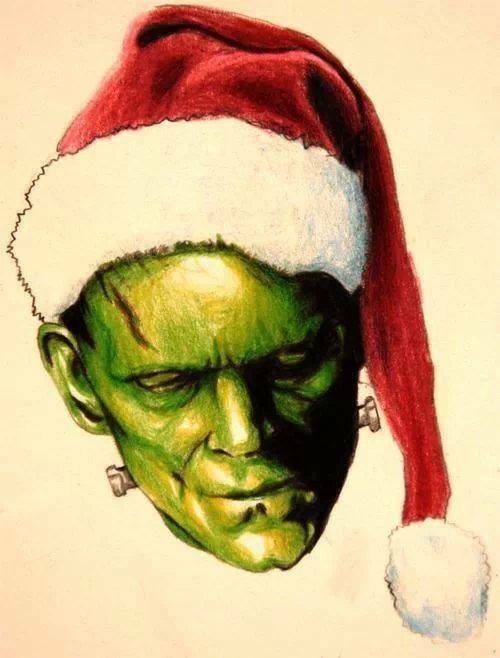 Posted in humor, personal, Wuss Out Wednesday and tagged blog post, bloggers sick day, blogging, Frankenstein, George Zucco, JAWS, late post, monsters, Nosferatu, The Mad Monster. Bookmark the permalink.